As much as a GSX-R1000 owns the racetrack, the GSX-S1000 ABS owns the street. Developed using the attributes of the championship winning 2005 – 2008 generation GSX-R1000, this sportbike carries the spirit of the Suzuki performance to the street, with shared technology and components packaged into a chassis designed specifically for all-day riding comfort. 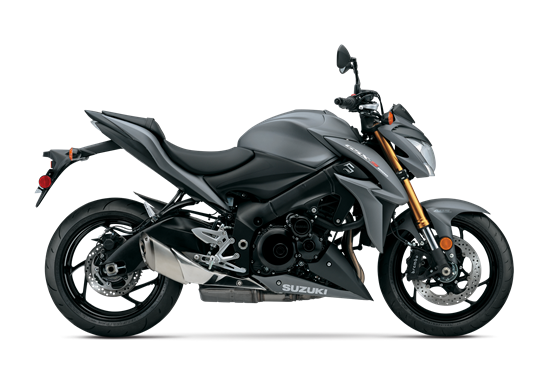 Equipped with a powerful engine, Suzuki’s Advanced Traction Control System**, a balanced KYB suspension, plus ABS-equipped* Brembo and NISSIN brakes, the GSX-S1000 ABS is a street bike packed with some serious performance. Top that performance off with wild, rugged, and aggressive styling, and you have a naked roadster ready to attack and turn heads on the street. With the GSX-S1000 ABS, Suzuki changes motorcycling for the better, again. Twin-spar aluminum frame and adjustable KYB suspension delivers controlled handling. Both the front and rear brakes can be modulated by a compact Anti-lock Brake System (ABS)* controller to match stopping force to the available traction.